I have some pretty darling nieces and a nephew and it just so happened that one of my nieces turned 7. I had heard through the grapevine that she could do with a winter coat. I thought it would be a great time to pull out this Figgy's Nituna Coat pattern that I've had stashed for ages and give it a go. This is such a cute kids pattern and I feel that when you're making an investment piece like this, it's fun to add some of the bells and whistles of traditional tailoring to it for practice. 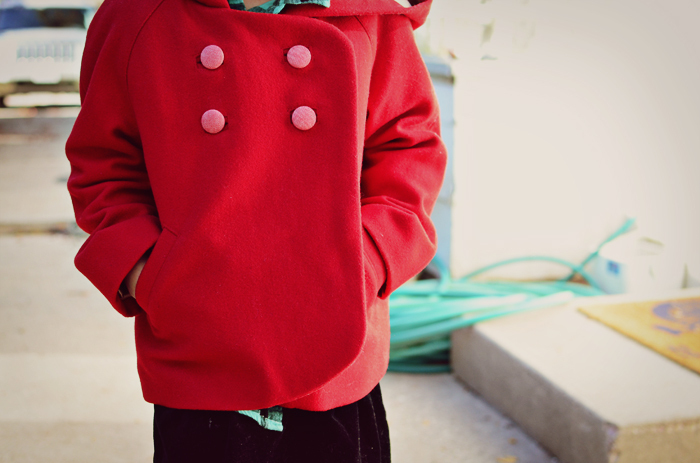 Especially when it's for a little person and it's akin to making a sample, yet someone can actually wear it and use it. 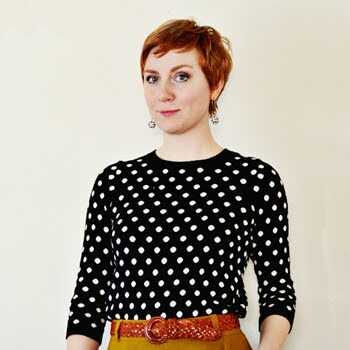 I opted to do some changes to this pattern to give it a more professional touch and because I do love doing a tailoring project and it's always good to remember how to do things like bound buttonholes and welt pockets. 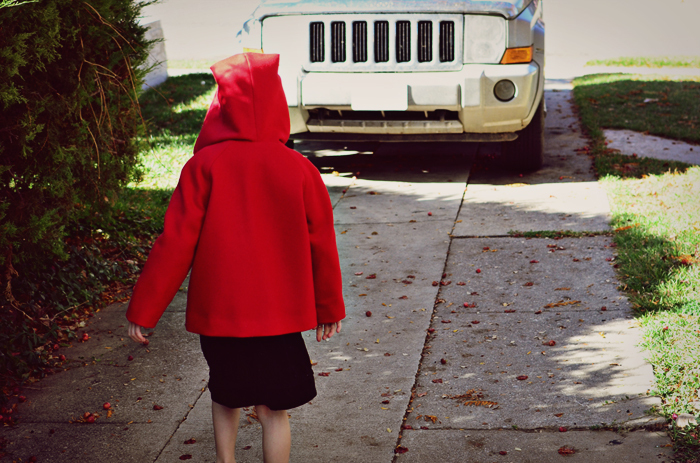 Overview of the pattern: The Nituna coat is a children's pattern - unisex, which is a plus! 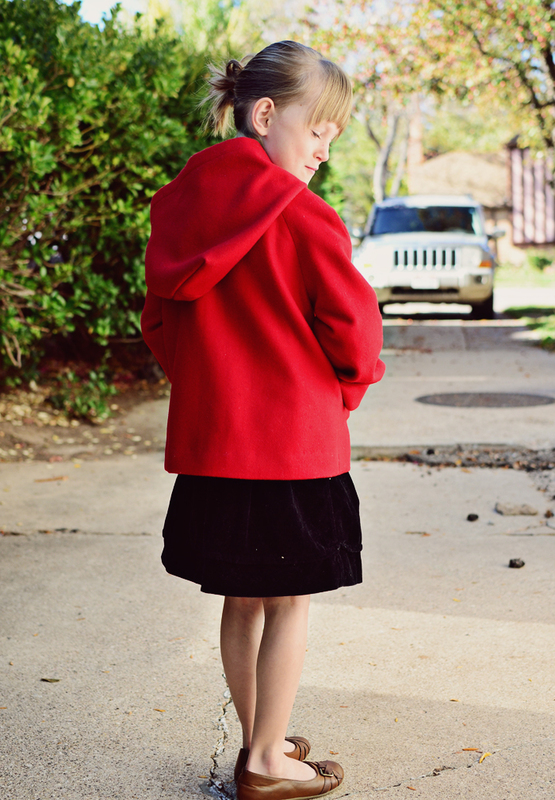 - with a hood, optional back bodice pleat, patch pockets or welt pockets. This pattern also features a lining, but I would say that this is more of a reversible coat treatment than a traditional lining. I created a traditional lining for my version. The pattern itself does not really come with a lining pattern, but instead you cut the same pieces as the coat shell and from there put the "lining" and the outer "coat" together and attach with bias binding around the edges or right sides together, turn and topstitch. 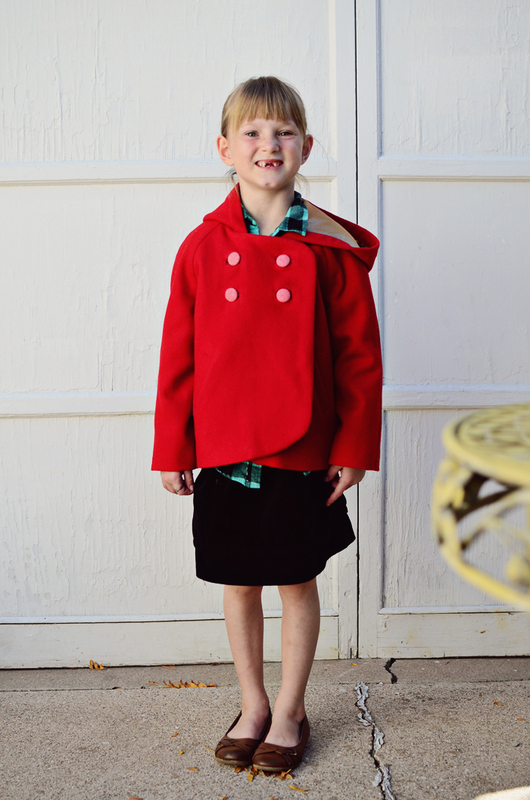 I wanted a traditional coat lining and so adapted the instructions for doing this from Easy Guide to Sewing Linings. As I did this, I noted that the pattern did not have hems but the entire coat does have 1/2" seam allowances, so in the appropriate areas I added hems for the sleeve, coat body and hood. I added traditional hems of 1 1/2" so that I could have a good hem turn-up that would give some weight to the overall coat and help it lay better. I also decided to amend the welt pocket pattern that came with the Nituna Coat. I have a very specific way of doing single welt pockets for coats. I really love the slightly slanted kind, so I did slightly slant these otherwise they are more perpendicular to the ground. When they are slanted, I find that the hand can find the pocket easier, a design detail that I find very useful on the coats I enjoy. Additionally, I opted to do single welt pockets that lay inside the coat front. By this I mean that the single welt itself is just one layer below the coat front shell. Does that make sense? The other type of single welt is the kind where the welt itself is on top of the outer layer and you usually hand tack the short edges down. I prefer the former in the case of this coat where hands and such will be going into the pocket more frequently. The wear and tear ends up being better and the short ends of the welt live longer. It's definitely something that I'll consider doing a tutorial for. I did bound buttonholes because, well because! On a coat of this weight I'm quite sure my machine would fudge up the job and bound buttonholes are so wonderfully time consuming. Ha ha. I used Tasia's method from her Sewtionary (such a very useful book) and these came out positively beautiful. I interfaced the coat front, sleeve hems, back coat hem and also did a back stay in the back coat body. It really is a pretty well built children's coat. I was rather determined not to purchase any materials for this coat as my stash is just so insane (still). 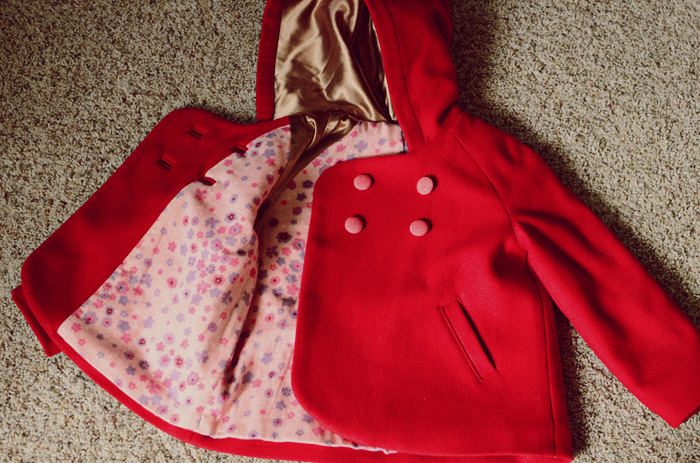 I had this saturated red wool melton coating and I culled my scraps stash for the kasha lining in the sleeve and hood and did a little cotton double gauze in the body that was also interlined in muslin. My niece's favorite colors are purple and pink and as I didn't have the right kind of fabric for a purple or pink coat, I had to add that part somewhere. 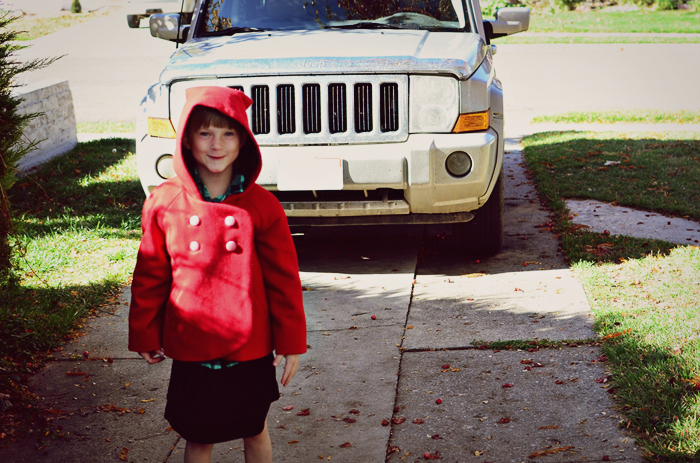 I opted for one size up so hopefully this little gal can wear this coat next year too. She fell into the 4/5 size range and this is a 6/7. I'm so pleased with how this turned out. The sizing was perfectly on par and the style so appropriate for a 7 year old. I would definitely recommend this pattern. While I changed the details to a traditional lining, I can see the benefit of doing a reversible coat in something like flannel or twill - that would be perfect for a boy, who might be getting one next! For more detailed info, check out my pattern review.